When talking about the beauty of Japanese women in the first place usually means their delicate porcelain skin. 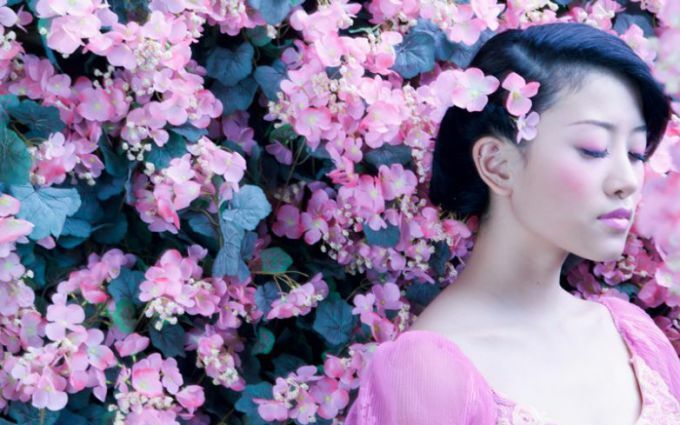 Beauty secrets from women of the country of the rising sun a lot. Due to the special care Japanese women to a ripe old age retain not only the skin, but also the harmony and well-being. The first secret to youthful skin – proper nutrition. The life of Eastern women more sedentary than Europeans, why Japanese women never eat on the go. Breakfast is the main meal in the land of the rising sun. On the table at the Japanese morning variety of dishes – sometimes up to 10. Definitely green tea, steamed rice, tofu, soup, vegetables and fruits. Each portion is quite small, but overall this Breakfast nourishes the body, replenishes the reserves of all essential vitamins and minerals. Products in Japan using only the freshest, not recognizing any freezing or canning. Fruits and vegetables straight from the garden, fish – only from the sea. Thermal processing of the food is minimal, even they have fish almost raw – and vitamins, and cooking time takes less. The dining of Japanese women – it's a ritual. They eat slowly, carefully as he ate every bite, because adhere to the principle: chew a hundred times, a hundred years of living. What Japanese products are the most useful for skin beauty? Fresh fish is a source of polyunsaturated fatty acids which have strong antioxidant effect for the whole body. Rice and soybean are sources of complex carbohydrates, they give the body energy and essential b vitamins Usual for Japanese dessert – marmalade and jelly. To prepare these treats use sea kelp – source of iodine and other essential micronutrients. Drink Japanese green tea, which perfectly removes toxins and cleanses the body. The second secret – quality cosmetics. Japanese cosmetics is not widely known, but those who have tried it women often fall in love with these creams and face for life. The main secret of these cosmetics, the special ingredients. For example, oil of Camellia contains proteins and oleic acid, remarkably nourishes and smoothes the skin. This component is added to lotions and creams that are used for masks and baths. Often added to cosmetics and kaolin – it purifies skin, tightens pores and reduces sebum. Another common component of Japanese cosmetics – green tea. It tightens pores, tones the skin and has a lifting effect. Green tea Japanese women make the most simple, but effective mask. If you want to try for yourself its effect – brew green tea is 3 times stronger than for drinking, soak them gauze and apply it on face for 5 minutes – keep until the mask cools down. Repeat this procedure every day. 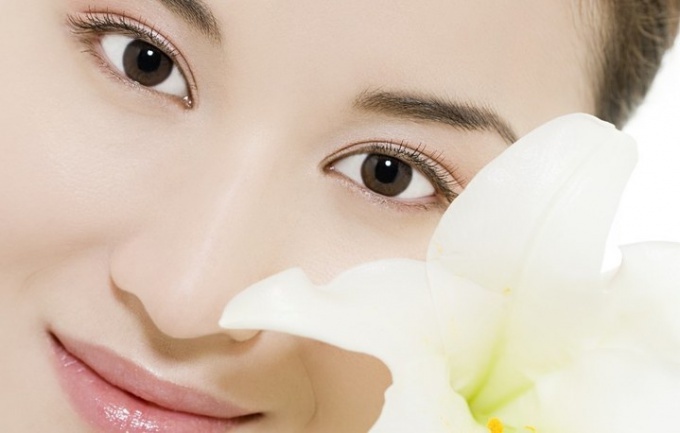 The next important ingredient of cosmetics – rice flour. It is well nourishes the skin, smoothes wrinkles. At home Japanese women bred rice flour green tea or decoction of herbs, and then apply the resulting mass on the face. The skin before applying the mask to wipe with olive oil, then the procedure effect is more pronounced. An important secret of the Japanese cosmetics – exotic supplements. The proteins of pearl and silk extracts from shark cartilage, shark liver, placenta, extracts of corals and various algae, gold – all these components have powerful healing and rejuvenating effect. Every morning Japanese women use cosmetics and do facial massage shiatsu, stone massage or acupressure. All of these procedures in the complex keep the skin young Japanese women for many years. Every girl aspires to have beautiful and slim figure, it's not always nature is merciful and gives all natural since childhood. Sometimes to achieve the perfect settings you have to sweat and work hard. A beautiful body is a proper diet and, of course, sports. But in this article we will focus on small cunnings and secrets of Japanese girls that they use here for hundreds of years in order to keep the harmony and elegance. A well-known fact that rice is one of the most important products in the cuisine of Asia and an important component in the everyday diet of the Japanese. Sometimes even rice replaces bread. It is strange that the rice belongs to the diet, because it contains huge amount of carbohydrates. The method of cooking the rice in Japan is highly unusual. There it does not boil, as do we. It is soaked in water and so brought to full readiness. In the diet of Japanese women are not included fatty meats, because they can replace the seafood and fish. The fish is insanely useful because it is full of vitamins and minerals with a small amount of calories. Also, in addition to the dietary component of fish contains iodine and omega fatty 3 acid, thereby reducing the risk of cardiovascular disease. The traditional size Japanese dishes are quite small, because they are used to eating small portions but often. In Japanese cuisine, virtually no fried food. Of course, it can be enjoyed in the restaurant, but the Japanese do not eat fried foods and prepare them on pair or boiled. It is important to emphasize that green tea slows the aging process (due to the large amounts of antioxidants), it also helps to speed up metabolism and subsequently weight loss. The main advantage of this product is its low caloric content and high protein content. The best addition to the fish or rice will be a fresh salad that the Japanese just love to cook and include in the daily diet. The Japanese cook anything right before the meal. They will not eat food that has been cooked a few hours ago – that culture and tradition originated from ancient times. Analyzing all these rules, it is important to note that the best option for maintaining forms are low-calorie salads and cereals, but it is also important to follow the methods of their preparation and freshness of ingredients.